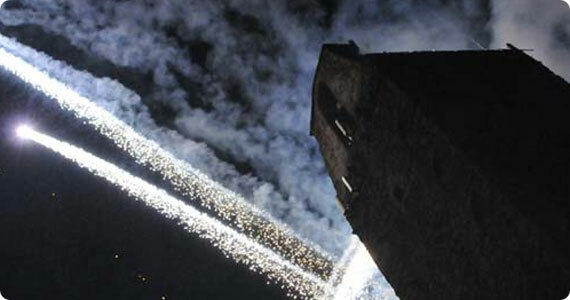 The summer season in Tuscany is the start of many events, particularly medieval fairs! The weather has been a little too wet for May so far, but if it turns out sunny and you’re wondering where to head off to this coming weekend, I recommed heading to Castiglion Fiorentino near Arezzo or Malmantile near Florence! In its 12th year, the medieval festival in Castiglion Fiorentino near Arezzo is held right around the last remains of the castle in the center of town and features a campground and all of the characters you’d expect to see if you traveled back in time, with everyone in period costumes: knights in armor and swords, crossbow soldiers, ladies and knights, jesters and jugglers, fire swallower, horses and much more! Music, food and more make it a great way to spend time with the family! Food stands open at 4.30pm on the weekend, 6.30pm on Friday. Stay late on Sunday for the fireworks! 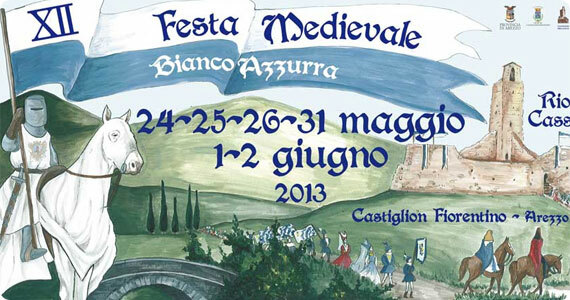 The Medieval Festival in Malmantile, just about 30 minutes outside of Florence, is in its 20th edition this summer. The festival is held with the oldest part of the village, with the walls still in place to protect its citizens. While today the town has spread out beyond the walls, it is a beautiful setting to enjoy a trip back into the Middle Ages! 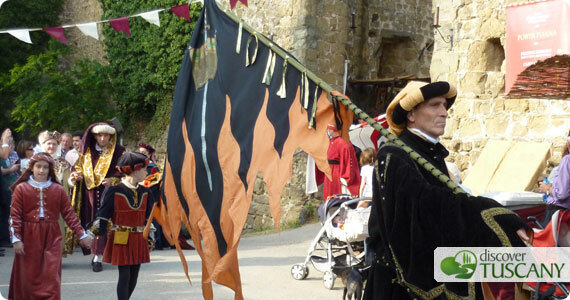 Fun for the family, lots of stands with hand made crafts and delicious grilled food and cakes to satisfy your appetite while enjoying music, shows by the jugglers and jesters, falconers and the parade in historical costume and show by the flag throwers. Workshops just for kids, to teach history in a fun way.